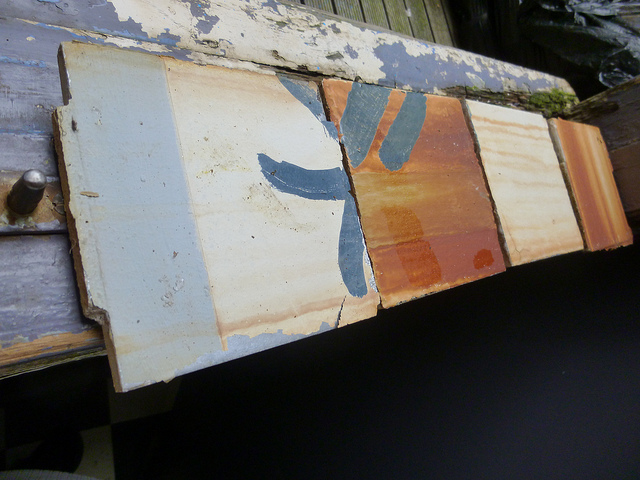 On April 6, 2014, four tiles were lifted from the parking lot of Royal Delft Porcelain Factory for the purpose of painting my own tile versions utilizing their aged and fallen tiles. 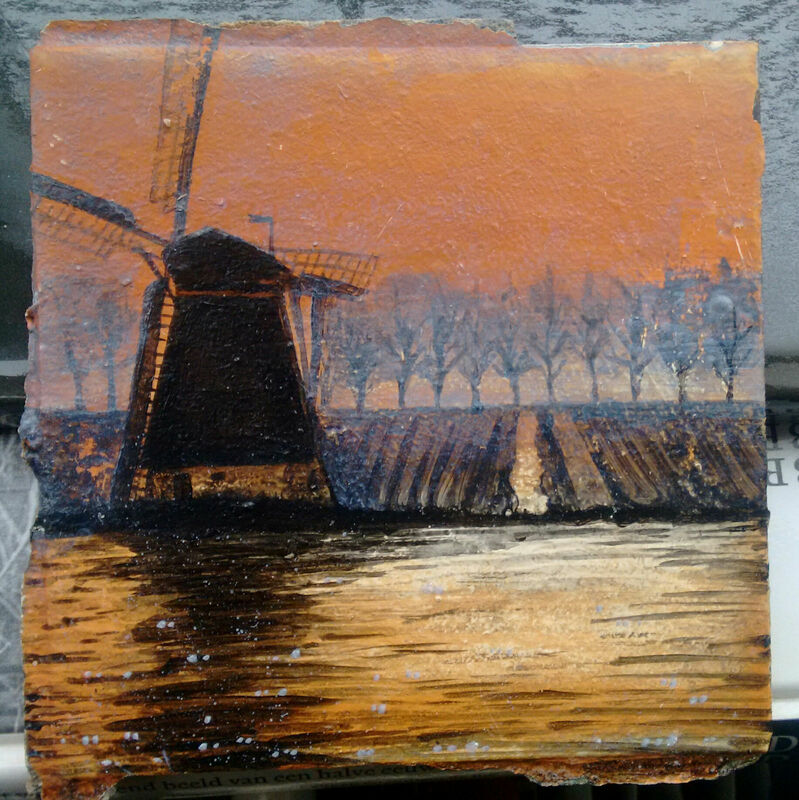 Windmill painted on RD tile. This week I was totally spoiled by my friends, including three new (used) books. This windmill is from a 1974 dutch book all about windmills. However, I used one of my own photos which I took from a moving train as inspiration for the row of trees in the background. Notice the pile of tiles in the middle of this photo?? ?